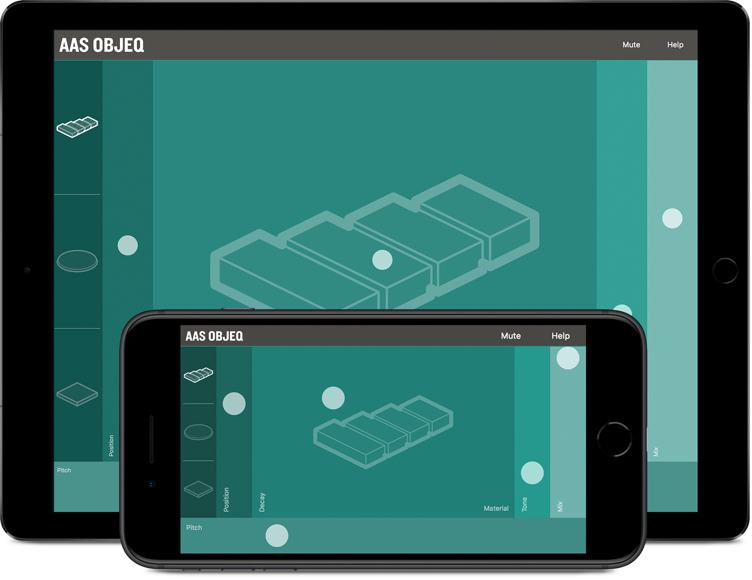 If you’re addicted to tapping your hands everywhere, Objeq will become your new rhythm companion. Who doesn’t like to improvise a beat on a table with their hands? 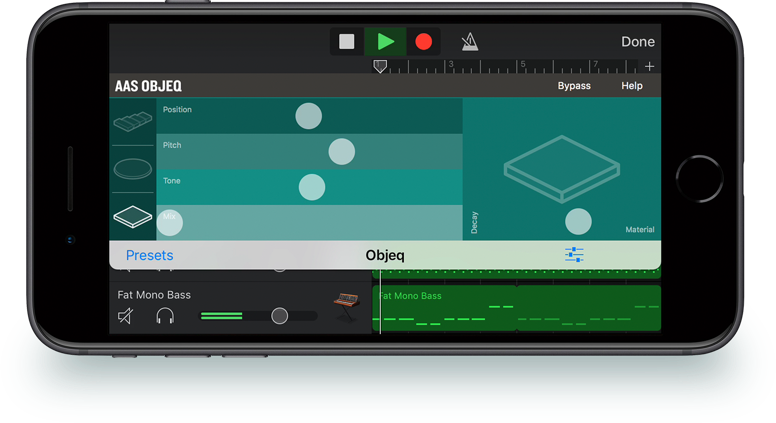 With the help of your device’s microphone and a pair of headphones, Objeq transforms those beats to sound closer to a real percussion instrument—you get tones reminiscent of congas, bongos, djembes, and many other resonant things. Feed it any live source, beat, or loop—place it at any stage of a processing effect chain. Objeq will show up as a plug-in in any Audio Unit v3 (AUv3) compatible DAW such as GarageBand, Cubasis 2, Auria Pro, and AudioBus 3. Objeq offers three acoustic resonators that you can use as resonant filters. Each has parameters like material and decay that will give different sound colors.